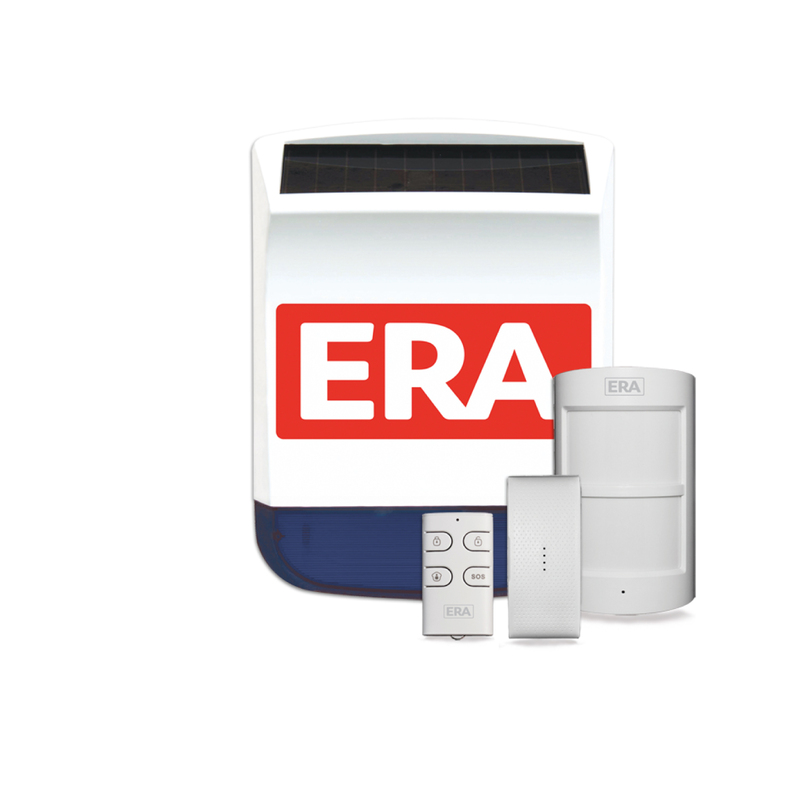 The ERA Valiant is a complete standalone alarm system that can also be used as an expansion pack for any ERA Wireless Control Panel Alarm System. 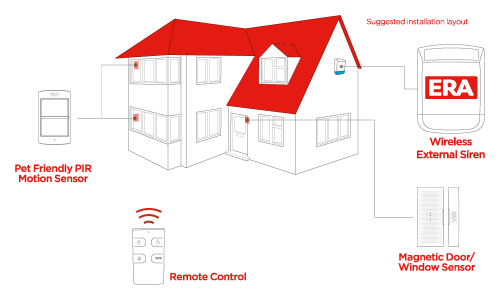 Totally Wireless, this alarm is a pet friendly system with a loud 110db external Solar Powered Siren and Strobe. The Siren has flashing comfort lights 24/7 to act as a visual deterrent. 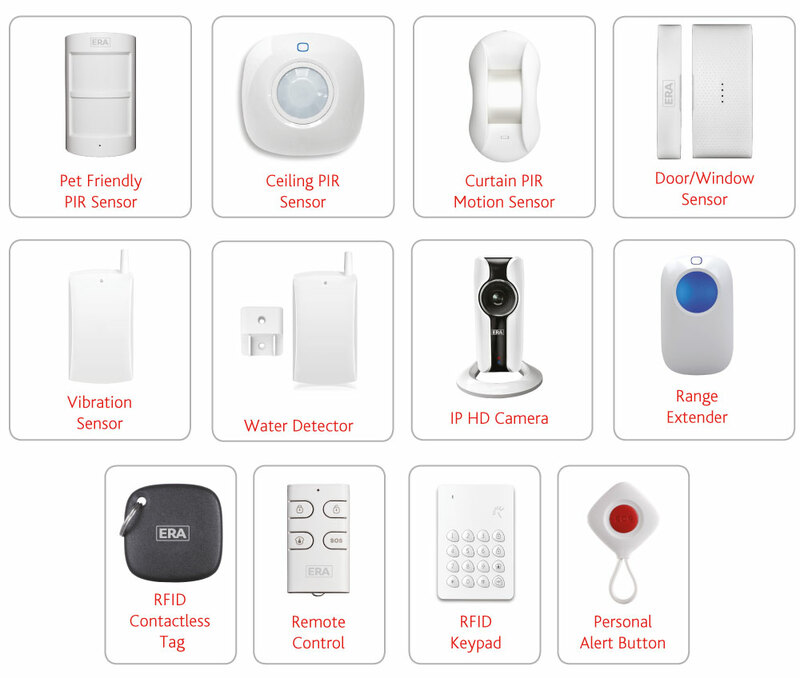 It is easy to extend at any time with the ERA range of accessories or can be used with any of the Alarm Kits to create a Smartphone Alarm Kit.